For Children is an art work commissioned by the School of European Studies at Cardiff University for the conference entitled: P.P.Pasolini and R.W.Fassbinder: the European Legacy between Nihilism and Utopia. The installation references the work of both the above film-makers. For Children addresses the notion of family. 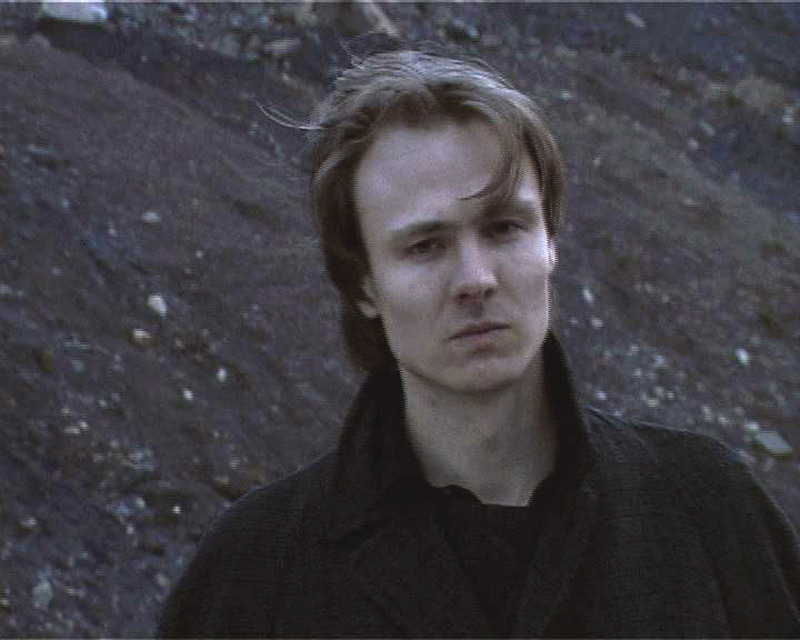 On one screen a young man wanders through a desolate landscape, later admitting to killing his father and to cannibalism. The camera work for this sequence, a reworking of a section of Pasolini’s Porcile. is mainly handheld and often quite frenetic. In contrast, the second screen depicts three generations of a family in a domestic interior, arranged in a formal grouping and shot with a static camera. This screen alludes to the way in which Fassbinder often arranges his performers into stylised groupings, sometimes representing family relationships e.g. Angst essen Seele auf. The re-presenting and colliding of elements from the work of these two politically engaged film-makers allow for the creation of new meanings. The arrangement of the two screens is designed to suggest that the images on one screen could be the possible memory or imagination of the character or characters on the other screen. The screens are projected opposite each other so that the viewer has one image in front of him/her and the other behind. The viewer is thus placed in a particular temporal as well as spatial relationship to the two screens, the screen behind him/her becoming the screen of memory and imagination.